Levin joined the firm as Senior Counsel in April 2019, after over 30 years as a research attorney for the Third District Court of Appeal in Sacramento. He is a member of our litigation practice group and will work on a wide range of disputes, employing his expertise on appeals and law and motion matters. Levin has worked on many cases involving traditional and administrative mandamus, water law, inverse condemnation and eminent domain, flood liability, CEQA, government contracting and tort liability (including FEHA and whistleblower cases). Levin “elbow” clerked for Justices Frances Carr, Fred Morrison, and Elena Duarte, and also worked on the court’s central staff. He prepared draft opinions in over 1300 cases, over 140 of which resulted in published opinions. Levin has been involved with Bar activities at the state and local level for many years. He has been a panel speaker on appellate law at State Bar and local events, and volunteered as a probation monitor for the State Bar Court. 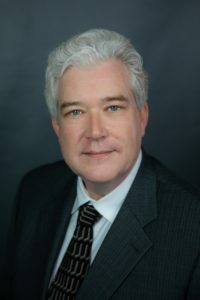 He has served as a fee arbitrator in several counties, informally resolving attorney-client billing disputes, and has been active in various efforts to ensure reliable and cost-effective legal services to consumers, serving on three lawyer referral boards. Levin was twice a member of the Sacramento County Bar Association’s Board, once as an elected member and once as its lawyer referral service representative. He was an Assistant Editor and Acting Editor of and contributor to the SCBA publication during and after its transition from The Docket to the Sacramento Lawyer. After moving to the foothills, he joined the Placer County Bar Association, was elected to its board, and served as its president. Levin has volunteered as a temporary judge in Sacramento and Placer Counties. Levin has acquired a thorough knowledge of California legal and judicial history, has published articles on those subjects, and donated his extensive collection of legal and judicial books and ephemera, one tranche to the Orange County Superior Court, where it is on display, and a larger tranche to the Third District in advance of his retirement. While in law school, Levin was an extern at the California Attorney General’s Office, working on criminal appeals, including one resulting in a published decision. Levin graduated from the UC Davis School of Law, after transferring from the Santa Clara University School of Law, where he had earned American Jurisprudence awards in criminal and constitutional law. He has a BA in history from UCLA. Levin is admitted to practice in California, Colorado (on voluntary inactive status), and is a member of the bars of the Supreme Court of the United States and the U.S. District Court for the Eastern District of California.